Tom Wentworth is the Chief Marketing Office at Acquia, where he is responsible for global marketing strategy and execution. Whether you’re an Android or iOS user, we’ve all probably made our way into an Apple store at some point. After pushing past the suspiciously friendly blue-shirted door greeters, the in-store experience is actually quite pleasant. It’s a far cry from what you’d expect from a massive consumer goods retailer; people actually seem to be enjoying themselves in the stores and are eager to come back. Unlike big-box retailers who couldn’t care less about which products you buy (as long as you buy something), Apple controls its brand message and experience within its stores. The result is a unique brand engagement that’s a win for both the Apple name and the consumer. This is exactly the experience Apple intends. 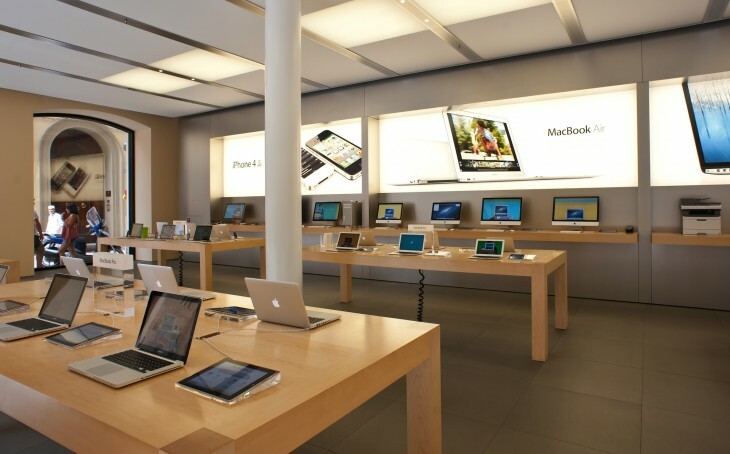 Apple has largely been successful in creating an in-store shopping experience that’s as simple, dynamic, and stress-free as a visit to its online store. While brick-and-mortar retailers are seemingly shutting their doors left and right, Apple stores seem to keep popping up around the world. Each Apple store has hundreds of gadgets in it, but as soon as you walk in, you can easily spot what you’re looking for. You know where to go to play with the new iPad Mini, read the product specs and test it out. All gadgets are functional, turned on, fully charged and demos loaded on the devices deliver great content. Everything you want to know about a product is clearly labeled, and if shoppers are in need of even more content, an Apple store employee is waiting only a few steps away to give them a full download, sometimes quite literally. Online shopping should be the same way, with information easy to find, video demos to offer visual explanations, and even additional ideas for shoppers, like accessories to buy along with their main purchase. We call it “content for commerce” — customers should be able to easily find the content they need — whether product use information, reviews, specs, or a myriad of other informational aspects — on your site. It’s about using content to define and control your brand. Your site should be a one-stop-shop for everything, from purchasing the products themselves to anything your customers could ever want to know about them. When customers leave your site to find information about your products elsewhere, you’re essentially losing control over your story or narrative — the story of your brand and your products is being told by others, frequently other consumers through a variety of different social channels. Think about this from the Apple store perspective. When contemplating buying the new iPhone, a customer in an Apple store doesn’t walk over to Best Buy for their take. Your customers shouldn’t be leaving either! Any Apple store employee can help a customer complete their transaction via their mobile point-of-sale (POS) device from anywhere on the floor. No lines, no waiting, just real-time transactions. Despite well-intentioned methods to streamline the online retail experience, it can still be strenuous and overly complicated. Consumers don’t want your last-minute add-ons and no, they don’t want to pay $4,000 for guaranteed next-day shipping. They want to buy what they came for and do it with as few clicks as possible. While they may not speak about (or even remember) how simple the process is, they will remember how you tried to upsell and scam them out of a few extra bucks at checkout. The Apple store isn’t the typical retail dichotomy where the customer is on the floor and the employees sit behind checkout stands. From the Genius Bar to the slew of blue-shirted employees available on the retail floor, the experience is that of a community. The community even extends to other customers shopping in the store with you; how many times have you engaged in conversation about a product with other customers trying out the latest gadgets? The online retail experience should hold the same community elements; help should only be a click away, expert forums should be readily available, and both your insights as the brand and customer reviews should be easily found. Apple stores are well-maintained, clean, easy to navigate, and the products are clearly labeled. The online experience should mirror this simplicity; no banner ads or pop-up windows, just a clean, slick interface that puts the products front and center. The visual experience of your website should represent your brand, a process that can be tricky within the confines of a pure commerce experience, but one that can help you take back your brand. At an Apple store, you can set up and activate your phone with various carriers, like Verizon or AT&T. By looping in external vendors, Apple even enables consumers to get their MacBook diagnosed and fixed, giving you the opportunity to just talk shop with anyone working the floor. Online retailers should enable visitors to engage with the site in a dynamic way, ultimately encouraging them to spend more time with the brand by reading product reviews, engaging with fan communities, or unlocking premium content and deals. Commerce innovation is being driven by experiences, not transactions. Because of this, online retailers have a great opportunity to blend content, community and commerce to deliver a seamless digital shopping experience, one that inspires loyalty and keeps consumers coming back.